"This is the greatest wisdom—to seek the kingdom of heaven through contempt of the world. It is vanity, therefore, to seek and trust in riches that perish. It is vanity also to court honor and to be puffed up with pride. It is vanity to follow the lusts of the body and to desire things for which severe punishment later must come. It is vanity to wish for long life and to care little about a well-spent life. It is vanity to be concerned with the present only and not to make provision for things to come. It is vanity to love what passes quickly and not to look ahead where eternal joy abides." In a word, true wisdom leads us to consider transcendence and not merely as a generic and ambiguous word, but our own transcendence, our constant and restless longing for that something more. In the introduction to his worthwhile book, The Turn to Transcendence: The Role of Religion in the Twenty-First Century, Dr. Glenn Olsen wrote that alongside the forces of secularization in the West there remains the human longing "for that which transcends history and orients life." 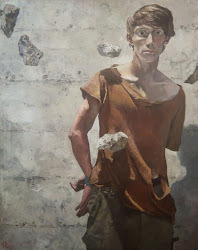 In his book The Religious Sense, Giussani, noting this universal human longing for transcendence, forces the matter by saying that this longing which constitutes our humanity, can either be fulfillment in reality or it cannot not. Concluding it cannot not seems unreasonable and contrary not only to human experience, but what he calls "elementary experience." So, holding that our longing, which is bigger than our hearts and even the world, can be fulfilled means that an infinite, that is, unbounded longing can only be met by something, or Someone, equal to this measure. These observations lead us back to à Kempis' insight, which is nothing other than the Gospel, what Jesus proclaimed when He said, "The time is fulfilled, and the kingdom of God is at hand; repent and believe in the gospel"(Mark 1:15 ESV). Who is Jesus? I mean you hear about Him all the time, you may even speak about Him yourself once in a while, but do you hear Him in order to know what He is saying to you? Our readings today are about three things: Jesus’ identity, the necessity of hearing Him, culminating with what the implications of hearing Jesus are. In our first reading from the Book of Deuteronomy, Moses tells the Israelites that God “will raise up for them a prophet like [Moses] from among their kin, and [God] will put [His] words into [the prophet’s] mouth; [the prophet] shall tell them all that [God] command[s] him” (Deut. 18:18). Moreover, anyone who hears but does not “listen” to this “prophet” will be held to account by God. As we all know, there is a huge difference between hearing and listening. It is useful to look at an example from Jesus’ ministry in order to clearly see Jesus as the fulfillment of Moses’ prophecy. So, let’s flip ahead several chapters in Mark’s Gospel, to chapter ten, where we read about Jesus engaging in a disputation about marriage with some Pharisees. In order to test Him the Pharisees ask Jesus, “Is it lawful for a husband to divorce his wife” (Mark 10:2)? Jesus answered their question in true rabbinical fashion by asking them a question: “What did Moses command you” (Mark 10:3)? Of course, knowing the Law and knowing that Jesus knew the Law, they answer, “Moses permitted him to write a bill of divorce and dismiss her” (Mark 10:4). Now notice that there was no question about whether a woman could divorce her husband, such a question would have been unthinkable to observant first century Jews. Nonetheless, Jesus does level the playing field, but does it, as He often did, in an unexpected and surprising way. Citing Genesis 2:24, the foundational verse of Scripture on marriage, Jesus said to the Pharisees, “Because of the hardness of your hearts [Moses] wrote you this commandment. But from the beginning of creation, ‘God made them male and female. For this reason a man shall leave his father and mother [and be joined to his wife], and the two shall become one flesh.’” (Mark 10:5b-8a). He concludes His teaching emphatically, thereby demonstrating that He is the prophet about whom Moses spoke and giving us an example of what we read about Him in our Gospel today- “for he taught them as one having authority and not as the scribes” (Mark 1:22b) - by saying, “Therefore what God has joined together, no human being must separate” (Mark 10:9). This encounter, along with many others in the Gospels, shows us who Jesus is. He is no mere interpreter of the Law. While He is like Moses insofar as He teaches what God commands, He is greater because He teaches everything God commands without compromise. In other words, Jesus is the Law-giver and the One who not only teaches us, but shows us how to fulfill the Law. Looking ahead to the twelfth chapter of Mark’s Gospel, Jesus teaches that you fulfill God’s law by loving God “with all your heart, with all your understanding, with all your strength, and [by loving] your neighbor as yourself” (Mark 12:33). He says that doing this is “worth more than all burnt offerings and sacrifices” (Mark 12:33). If nothing else I have said this far helps you know who Jesus is, consider the words of the unclean spirit in the synagogue: “I know who you are - the Holy One of God” (Mark 1:24). His casting out of the unclean spirit coupled with His teaching that day caused those who witnessed it to ask, “What is this?” Only to answer their own question: “A new teaching with authority. He commands even the unclean spirits and they obey him” (Mark 1:27). The implication is clear: if even the unclean spirits recognize and obey Him, we should too. [T]he task of authentically interpreting the word of God, whether written or handed on, has been entrusted exclusively to the living teaching office of the Church, whose authority is exercised in the name of Jesus Christ. This teaching office is not above the word of God, but serves it, teaching only what has been handed on, listening to it devoutly, guarding it scrupulously and explaining it faithfully in accord with a divine commission and with the help of the Holy Spirit… (par. 10). This might sound pretty scary, even somewhat self-defeating because of the challenge it presents to us, which is why the second thing our readings for today teach us (i.e., the necessity of listening to Jesus) is so important. Like the man with the unclean spirit and, looking forward a little farther in the first chapter of Mark, Simon Peter’s mother-in-law and the leper, in our weakness the Lord meets our needs. He meets our needs as we acknowledge our weaknesses, our inability, even our lack of desire to love God and our neighbor. Jesus us wants us not so much to need Him as to want Him, to desire Him. Passionate desire for the Lord is assumed by St. Paul in the passage from his First Letter to the Corinthians that is our second reading. In this passage Paul writes about obediently serving the Lord without distraction or anxiety. Without a doubt, those who choose celibacy for the sake of the kingdom of God, that is, to serve the Lord with an undivided heart, choose an excellent thing indeed. However, Paul’s primary point is not, “Don’t get married,” a bit of advice likely given in the expectation of the Lord’s imminent return, which he does not offer in order “to impose a restraint” (1 Cor. 7:35), but as an exhortation for all to live in obedience to Jesus Christ. This is exactly the kind of smug assertion that Chesterton was so full of and that so many people admire. I think Chesterton's propensity to generate such profound insights at the rate of one every thirty seconds would quickly grow tiresome. Despite loathing modernity more than Chesterton (and expressing his disgust in a brilliant and honest, that is, artistic manner), I have often wondered how my beloved Huysmans would have responded to Gilbert Keith. I do not think his response would be favorable, which probably doesn't matter to many people apart from myself. Frankly, such observations, stated in this absolutist manner, precisely because they do not come close to taking all of the necessary factors into account, drive me nuts. Now, don't get me wrong the synthesis achieved by Angelic Doctor is amazing by any measure and has relevance for us now. Lest I provoke an overly strong reaction, I think there is also much of value in the prolific writings of Chesterton. However, to dismiss all philosophy from Descartes forward as lacking sanity and failing to address reality is not a sustainable position. If nothing else, Descartes blew away the tenability of an unreconstructed realism by showing the gap between the subject and the object. Too often such quotes are invoked to support an anti-intellectual position. After all, life's big questions become much easier if someone has figured it all out for you, n'est ce pas? The odd thing is most people who use such quotes, like one on philosophy after Aquinas by Chesterton, have read precious little, or even no, Aquinas and they certainly have not read Descartes, let alone Wittgenstein, whose honesty before reality is breathtaking, or Heidegger, whose philosophical project was what he saw as the necessary destruction of the metaphysics of substance in order to fully recover the question of being, or Husserl, whose phenomenology, the school to which Heidegger belonged, came along as the necessary response to the gap posited by Descartes and as an attempted correction to the various idealist philosophies (Kant, Fichte, Hegel et al.) that began to proliferate in the late eighteenth century. Also, it seems to me that from a straight-up Christian perspective, one of the main grounds that cause people to question Thomism, even authentic Thomism, as opposed to the stilted school Thomism, the later of which was called into question by theologians such as the Dominicans Chenu and Schillebeeckx, along with the Jesuits de Lubac and Von Balthasar in the middle of the last century, is the overly-optimistic view of the human person, especially when contrasted with the theological anthropology of St. Augustine, whose own experience prior to his conversion, it seems to me, made him more realistic in this regard. Besides, Bl. John Paul II, who was a philosopher, not a theologian, was deeply influenced by phenomenology, especially the personalist philosophy of Max Scheler, which, like Heidegger's work and that of St. Teresa Benedicta of the Cross (a.k.a. 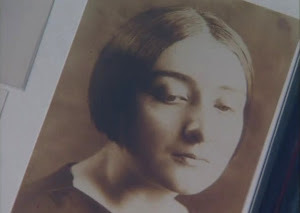 Edith Stein), even after her conversion (Ex: The Science of the Cross), both of whom worked with Husserl, was a notable development of the methods of phenomenology. 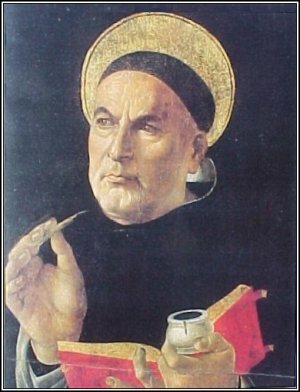 I am not advocating disregarding Aquinas, as if such a thing were either desirable or even possible, but putting his work in conversation with what followed. How can we do this if we dismiss all philosophy after Aquinas as insane and out-of-touch with reality a priori? Obviously, that is a rhetorical question, the answer to which is, "We can't." It is of great interest to me that at the time of his death, according to his friend Ian McEwan, Christopher Hitchens was working on a piece about Chesterton. I am not endorsing it without reading it, but I find the prospect of an incendiary Hitch-bomb to get the party started somewhat exciting. At least in my experience, faith is more about holding things in tension instead of just letting one end go slack and, as a result, being violently thrown to the other extreme. Wasn't it the Angelic Doctor who wrote, "evil consists in discordance from their rule or measure. Now this may happen either by their exceeding the measure or by their falling short of it;...Therefore it is evident that moral virtue observes the mean" (Summa Theologica, Question 64 of the Prima Secundæ Partis). "Childhood living is easy to do"
It's been a week at the end of which a little Gram Parsons is wholly called for, as opposed to all those times when I have said or done something that prompted someone to tell me, "That wasn't called for." I remember once I responded by stating the obvious: "If I waited for someone to call for it, then I would never get to do it." So, Gram's Wild Horses recorded by The Sundays is our late traditio for this late January Friday. "cloaks that had covered the eucharist were removed"
This is an extract of a book written by Fr. Piergiovanni Devoto abd published in Italy in 2004- "Il neocatecumenato. Un’iniziazione cristiana per adulti, which roughly translates to The Neo-Catechumenate: A Christian Initiation for Adults. Magister notes that this book was publicly presented by Paul Josef Cordes, who was then President of the Pontifical Council Cor Unum for Human and Christian Development (Cor Unum means "one heart"- he is now President-emeritus), who was created a cardinal by Pope Benedict XVI in the Consistory of 2007. I am not so much interested in the liturgical details, but in the theology of the Eucharist very partially articulated here by Fr. Devoto , even as I realize the theology and praxis cannot be separated. "Then after three years I went up to Jerusalem to visit Cephas and remained with him fifteen days. But I saw none of the other apostles except James the Lord's brother. (In what I am writing to you, before God, I do not lie!) Then I went into the regions of Syria and Cilicia. And I was still unknown in person to the churches of Judea that are in Christ. They only were hearing it said, 'He who used to persecute us is now preaching the faith he once tried to destroy.' And they glorified God because of me" (Galatians 1:11-24 ESV). As I mentioned yesterday, today is the anniversary, the sixteenth to be exact, of Archbishop George Niederauer's ordination as a bishop. So, a happy anniversary to him as he continues to serve us. Along with my classmates, I was ordained a deacon in the Cathedral of the Madeleine by then-Bishop George Niederauer eight years ago today, 24 January 2004. It's difficult to believe that it has been that long. Given the special relationship between a bishop and his deacons, I have always thought it significant that we were ordained just one day prior to the ninth anniversary of Archbishop Niederauer's episcopal ordination, which was 25 January 1995, the Feast of the Conversion of St. Paul. It is pretty cool that we were ordained on the liturgical memorial of St. Francis de Sales, who, among other heavenly duties, is the patron saint of writers and journalists (anyone who undertakes to read these pages can see how badly I need his intercession!). We were ordained on a Saturday, the twenty-fifth that year being a Sunday. So, to my brothers Manuel, Manuel, Tom, Herschel, Jack, Steve, Forrest, Dan, Marcel, Paul, John, John, John, George, Gene, Roger, Willie Willis, Ricardo, and Billy, Happy Anniversary! Today I also remember our departed classmates: Gerry, Scott, and Aniceto. Ad multos annos dear brothers! "When the rain is blowing in your face"
Today marks six months since Amy Winehouse's passing. Here at Καθολικός διάκονος I am doing a year-long Kaddish of sorts for Amy. The final one will mark a year. My last one was back in October- Carol King singing So Far Away. speedily and very soon! And say, Amen. I don't know how many times we have readings in the Sunday lectionary from the Book of Jonah. I just know that it isn't very many. So, it strikes me as funny and a little odd that our first reading for the Third Sunday of Ordinary Time, Year B, is about Jonah finally arriving in Nineveh, walking its streets and proclaiming, "Forty days more and Nineveh shall be destroyed" (Jonah 3:4)! Looking forward to our Gospel reading for today, as well as to Lent, I suppose we can see this as an earlier version of what Mark records Jesus as saying after emerging from the desert, which 40-day sojourn was preceded by His baptism by John in the Jordan, "Repent, and believe in the gospel" (Mark 1:15b). Before making it to Nineveh, Jonah, after being called by the LORD, jumped the first ship going West (Nineveh was to the North/Northeast), headed to Tarshish, which at that time was literally the end of the known world. After the onset of a great storm that threatened the ship, once it was determined that Jonah was the cause of the storm, the crew threw Jonah overboard. Then Jonah was swallowed by a big fish and eventually spit up on the shore somewhere closer to Nineveh. Finally figuring out that he could not evade the call God gave him, Jonah went and proclaimed the message in our first reading. As we see, the response of the Ninevites, who were the enemies of Jonah's people, was to repent. It is not only the back story leading up to what we proclaim today, but what Jonah did afterwards. You would think Jonah would be happy, or at least relieved, that the people (and even the animals) of Nineveh repented. He was not. He was angry. He went outside the city and sat on a ledge overlooking the city and grumbled to God. When we compare Jonah's mission with Jesus' mission we can see that Jesus did not have the kind of overwhelming response Jonah elicited. Like Jonah, Jesus wound up on a hill outside the city. However, Jesus was not sitting and grumbling out loud to the Father about the empirically modest result of His efforts, He was nailed to the Cross out of love for all, even (especially?) for those who did not repent and the believe the Gospel, largely abandoned by most who had responded favorably. Even as a Roman Catholic deacon, I think the Protestant Reformation achieved something important with regards to living as a Christian, something it took Catholics all the way until Vatican II to even begin to realize, what we call the Council's "universal call to holiness." After Christianity became a licit religion in the Roman Empire, the Church quickly became more secularized, that is, more worldly. According to Dietrich Bonhoeffer in his classic The Cost of Discipleship, what was lost was the costliness of grace. Bonhoeffer contends that the ancient Church did not lose its sense of of the costliness of grace altogether because it was preserved in monasticism. Indeed, those we revere as the Desert Fathers and (yes there were some) Mothers were driven to the desert largely by the phenomenon of the Church's rapid growth and equally rapid secularization. Bonhoeffer, taking his cue from historians of the ancient Church, marvels that the monastic movement did not result in a schism. Bonhoeffer wrote, "the Church was wise enough to tolerate this protest." Over time, according to Bonhoeffer, even monasticism came to be relativized and was used by the Church "to justify the secularization of its own life." How monasticism came to be used this way was, instead of being a form of discipleship for everybody and, hence, the way of communal life for the Church, it came to be viewed "as an individual achievement which the mass of laity could not be expected to emulate." As a result of "limiting the application of the commandments of Jesus to a restricted group of specialists," Bonhoeffer insisted, "the Church evolved the fatal conception of the double standard - a maximum and a minimum standard of Christian obedience." So, when "the Church was accused of being too secularized, it could always point to monasticism as an opportunity of living a higher life within the fold, and thus justify the other possibility of a lower standard of life" for Christians who were not monastics. 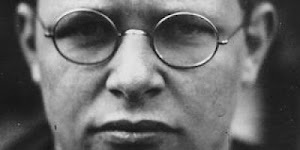 Bonhoeffer, who was a Lutheran, saw in Martin Luther's movement from the world to the cloister and back to the world as precisely the movement required for a needed correction, wrote: "It is a fatal misunderstanding of Luther's action to suppose that his rediscovery of the gospel of pure grace offered a general dispensation from obedience to the command of Jesus, or that it was a great discovery of the Reformation that God's forgiving grace automatically conferred on the world both righteousness and holiness. 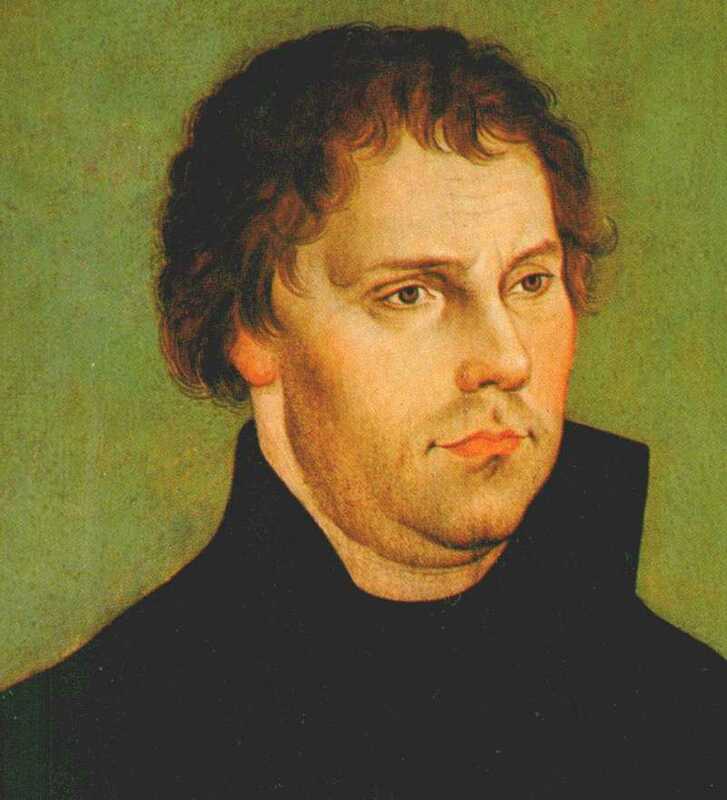 On the contrary, for Luther the Christian's worldly calling is sanctified only in so far as that calling registers the final, radical, protest against the world" (emboldening and italicizing emphasis mine). "This is why I don't mind you doubting"
Our Friday traditio is "What Is Love?" by Howard Jones. Like Sting last week, this one only makes sense. I love you whether or not you love me/I love you even if you think that I don't/Sometimes I find you doubt my love for you but I don't mind/Why should I mind? Why should I mind? My friend and brother, Deacon Bob Yerhot, as is his wont, left a very thoughtful comment on my last post. It seems nigh unto impossible to discuss God's unbounded and unconditional love for us without thinking and discussing how to respond, which is by loving God with my whole being and my neighbor as myself. 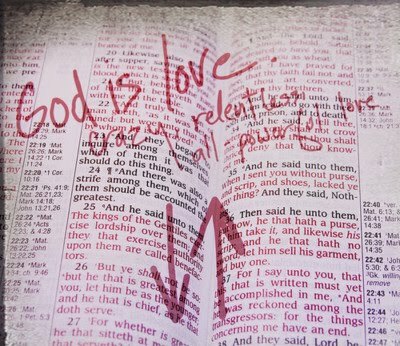 Any moral code not rooted in love is not authentically moral. This axiom also has a lot of bearing on why true religion is not a form of social control. Even when we look at the Ten Commandments we see this with the first three commandments being about loving God, the fourth (honoring our parents) is in a category by itself, our Dad and Mom occupying a space between God and everybody else, and the final six about loving our neighbor. Even when I mess all that up by failing in some small, or even catastrophic, way God doesn't love me any less. Because God's relentless and unfailing love is unlike anything I have ever experienced, grasping this is not just important, but necessary- "God loves you as you are and not as you should be." I'll go further, God's love is the only way I can become who I should be, who God created and redeemed me to be. Sanctification, which is what we call the process of being made holy, consists in nothing other than loving God and others in a Christ-like way. 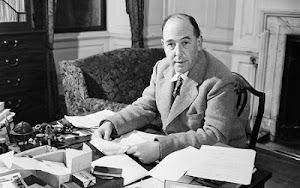 In Mere Christianity C.S. Lewis sagely observed, "On the whole, God's love for us is a much safer subject to think about than our love for Him." Our love runs hot and cold, even tending at times towards the Biblically-terrifying lukewarm. "But the great thing to remember," Lewis continued, "is that, though our feelings come and go, His love for us does not." God's love, as Lewis knew, "is not wearied by our sins, or our indifference; and, therefore, it is quite relentless in its determination that we shall be cured of those sins, at whatever cost to us, at whatever cost to Him." "Do you really believe this?" Brennan Manning on the reality of God's love for you. Yes, you. As skeptical and untrusting as I am, I am usually the first to say, "If it sounds too good to be true, it probably isn't true." I would feel that way about God's love for me if I hadn't experienced it first hand. While, God's love for me made real, concrete, actual in Jesus sounds too good to be true, it is the hardest truth to live by, to build my life on, to use to shape my relationships. I mean, what Brennan is saying is easy to grasp, that is, comprehend, but difficult to believe, but what if I lived each moment as if this were true, or even lived that way a lot of the time? Because I am forgetful and vacillating, Jesus' love for me is something I need to be reminded of over and over. Nothing is more fundamental, even elemental. Therefore, I think when we invoke John 3:16, "For God so loved the world, that he gave his only Son, that whoever believes in him should not perish but have eternal life"(ESV), we need to keep in mind John 3:17: "For God did not send his Son into the world to condemn the world, but in order that the world might be saved through him" (ESV). You might say, "Well Deacon Scott, should we read further and include John 3:18, which talks about the condemnation of those who refuse to believe?" I would say that even if we go to the end of verse 20 we see that those who refuse the love of God condemn themselves by their refusal, not by God. Preaching the Gospel really doesn't consist of anything more than bearing witness to God's love poured out for us. When we make it about more, which we often do, putting, say, morality up-front, like the proverbial cart before the horse, we fail Him by telling others that God will only love them as they should be and could never love them as they are. To paraphrase Fr. Timothy Radcliffe, we have no business discussing morality with someone until that person knows that God loves them just as they are and that any movement towards "should be" is a movement of grace requiring cooperation as a loving to response to the love they have received. Sure, it's a mouth full, which is why we can be brief and just say, "God loves you just as you are, right now, at this moment. Do you believe? listen to our morning prayer. and may we ever live in the light of your love. Amen. Turning our thoughts to what is holy means turning our thoughts to Jesus, who sanctifies us by loving us. I don't know how grace works, I only know that it does. What's so amazing about grace to me is that God always meets my need. I know for a fact that it is not because I deserve it, or because I have done something good. I guess that's the part I don't get. Dad: You need go be with Holly and your kids. Me: I don't want to leave because I don't know if you'll be here when I get back. Dad: Go, your family needs you. Me (kissing his forehead): I love you. Dad: Son, I love you so much. It took me all day to be able to conjure up that memory. I was avoiding it. Anyway, here's the grace part. Yesterday, I went to the book store with a gift certificate I received for Christmas. I found a book that surprised me: Brennan Manning's recently published autobiography, All Is Grace: A Ragamuffin Memoir. If you're not familiar with Manning, do yourself a favor and read some of his books. 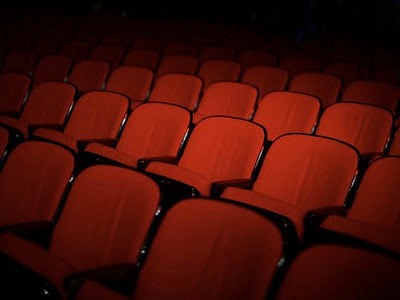 I highly recommend two that had a profound impact on me, The Ragamuffin Gospel: Good News for the Bedraggled, Beat-Up, and Burnt Out and Abba's Child: The Cry of the Heart for Intimate Belonging. I read almost the whole book yesterday afternoon between the time I arrived home and had to leave to attend to some pastoral duties and lead School of Community. I hated having to put the book down, but I know now there's a reason I didn't read it all. So this evening when I arrived home I picked up the book and started to read it again. I very quickly arrived at Brennan's account of the death of his sort-of-adopted second Mom, Ma Brennan, whose last name he took as his religious name when he entered the Franciscan order shortly after mustering out of the Marine Corps. He met the woman he called Ma Brennan through his best friend, Ray, whom he met in the Marines. Ray died tragically at a young age, but Manning maintained his close connection to Ray's mom and family. 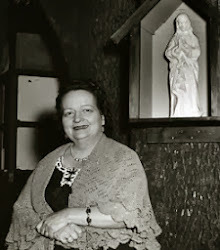 Upon arriving at home in New Orleans after a speaking trip, he learned that Ma Brennan, who lived outside of Chicago, was dying and asking for him. The next morning Brennan was on a plane to Chicago and arrived at the care facility where Ma Brennan lay rapidly expiring. Like many whose lives have been negatively impacted by alcohol, Manning has a hard time believing people like him. So, it is significant that he wrote, "Ma didn't just love me; she liked me enough, I believe, to wait until I arrived to say good-bye." As he walked in the room and arrived at her bedside, Ma pointed to her lips, asking him for a kiss. So, he kissed her. He writes, "She whispered, 'More.' I kissed her a second time, and again she smiled and said, 'More.'" Thinking back on it, he wondered how weird the nun in the room thought this was before writing, "I don't know what all a kiss holds, but that night I hoped ours held grace sufficient for the next step on Ma's journey." 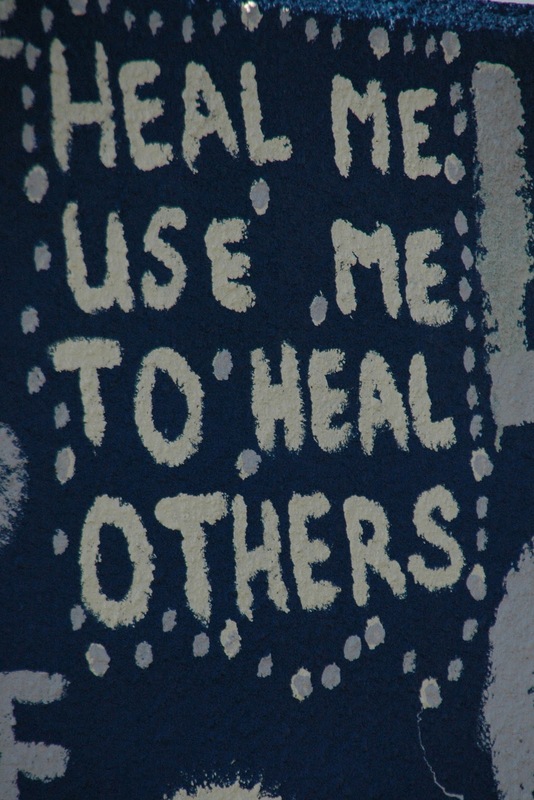 Manning's motto, which he picked up from the saintly Br. Dominique during his time in France and Spain with the Little Brothers of Jesus, is "God loves you unconditionally as you are and not as you should be." A year ago today my life was cracked. It's tough to live in a world my Dad no longer inhabits, especially as I hold my little Evan, born last June, who never met his Grandpa. There were only two things that really bothered my Dad as he lay dying- that he would not make his 50th wedding anniversary, which was last 25 August, and that he would not meet his grandson, who was conceived, but not yet born. 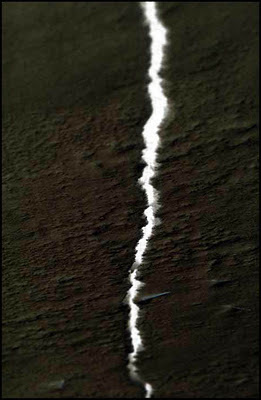 Today, God in His amazing grace, shone some light through that crack. Whether we care to admit it or not, our mortal life is made up only of time. To complicate matters, we do not know how much time we have. So, how we spend our time is hugely important. Life is too amazing and wonderful to waste time or to kill time, though I suppose we all do that at least once in awhile. All of these observations make us think of things like so-called "bucket lists," a term with which I was wholly unfamiliar until very recently. Bucket lists, far from being bad, are good when used appropriately. I remember a professor I had in college, a man who took me under his wing a little bit, who was really interested in reality. He told me once that his parents came into some inherited money and that they spent most of the money traveling the world, visiting many historical, cultural, and exotic locations. He also said that all his mother had at the end of the day were boxes full of unsorted pictures. The calculable finitude of our mortal lives, about which the psalmist wrote, "The years of our life are seventy, or even by reason of strength eighty; yet their span is but toil and trouble; they are soon gone, and we fly away" (Ps. 90:10), should aid us in keeping things in perspective. A few years ago a heard an interview with an international journalist who, late in his career, went back and interviewed the happiest people he had met while traveling the world. He asked them to tell him the reasons for their happiness. One elderly German man insisted that to be happy you must reflect for a few minutes each day on the fact that you're going to die, not in order to be morbid, but to help you continually focus on what truly matters in life and not get distracted by all the shiny objects. As Shakespeare memorably wrote: "All that glisters is not gold." So, memento mori (i.e., remembering death) is not necessarily an exercise in morbidity. In his dialogue Phaedo (Sections 61-69), Plato's Socrates insists that philosophy is but preparation for death. All of this is a long wind up to bring me to the point I want to make, which is about the utter necessity of prayer, our need to pray. 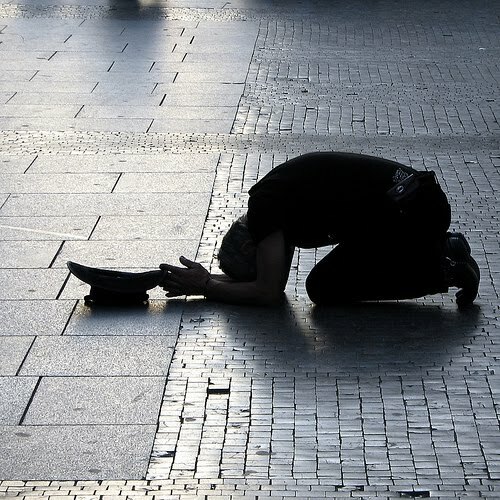 Billy Graham once asked, "Have you ever said, 'Well, all we can do now is pray'?" He went on to observe that prayer is very (too?) often our last resort instead of our very first. Wisely, instead of lambasting his readers for this failure, Dr. Graham goes on to note, "When we come to the end of ourselves, we come to the beginning of God." When we consider our finitude, the inevitability of death, which is the horizon over which we cannot see, it is comforting to know that our perceived end is only God's beginning. Put another way, what we see as our end is only a means to fully realizing the end for which we were created, redeemed, and for which we are being sanctified: our loving and lovely God, who, because of Jesus and by the power of the Spirit, we say, "Abba, Father." Hence, prayer is an opportunity for us to experience, at least to some degree, the "not yet" right now. In this same piece, Dr. Graham assured us, "We don't need to be embarrassed that we are needy. God doesn't demand that we pray in King James English, or even eloquence. 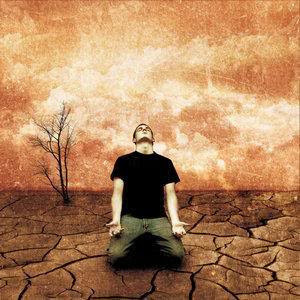 Every feeble, stumbling prayer...is heard by God. A cry, a sigh, a 'Help!' are all prayers according to the Psalms." There is a reason that praying first thing in the morning and last thing at night are time-proven practices. Don't forget, even taking time to utter feeble words of petition, lament, and/or gratitude are ways not just of remembering death and expressing our great need, but are acts of hope in the One who loved us not only to death, but enough to conquer death. When it comes to following Christ, so-called Christian living (a.k.a. 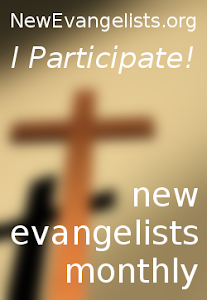 discipleship), it is often the case that Catholics feel as though Evangelicals have nothing to offer us. In my experience this bias exists for a number of reasons, but generally speaking revolves around two things: fundamentalism, also known as biblicism (i.e., reading the Bible in a very literal and flat way, ignoring the various genres found in Sacred Scripture, particularly in the Hebrew Scriptures), and what is perceived as a lack of theological and intellectual rigor. In some instances these concerns are justified and born out. Nonetheless, it is important not to approach matters by way of a preconception, judging all the trees by taking a ten thousand foot view of the forest. Plus, experience matters. 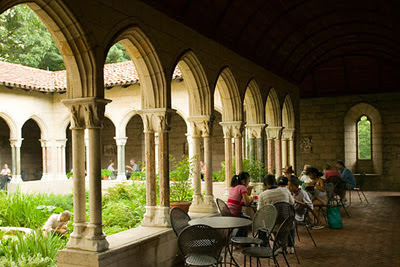 Knowing the Lord is not first and foremost an intellectual endeavor, but, as Pope Benedict stated clearly at the beginning of Deus caritas est, "Being Christian is not the result of an ethical choice or a lofty idea, but the encounter with an event, a person, which gives life a new horizon and a decisive direction" (par. 1). An example of something worthwhile by an Evangelical is the late A.W. Tozer's still magnificent book, The Pursuit of God. Tozer came to Christ as a teenager while walking home from his job at a tire company in Akron, Ohio. While on his way home one day he heard a street preacher say, "If you don't know how to be saved... just call on God." When he arrived home, he went up into the attic of his family's house and called upon God. The rest, as we say, is history. Despite never receiving any formal theological training, Tozer became very respected for his learning, not only about the Bible, but his grasp of theology and the Christian tradition. Proof of his knowledge are his books, which show his erudition. When combined with his obvious love of the Lord, what he writes is eminently worth reading, pondering, and praying. At the end of each chapter in his The Pursuit of God (you can read the whole book by going to the link where you can download it as an Adobe Acrobat [.pdf] file), he composed a prayer. Below is the prayer taken from the end of his second chapter, "The Blessedness of Possessing Nothing," which chapter gives one of the best theological expositions I have read (including Kierkegaard's Fear and Trembling) of the episode from Genesis 22:1-19, in which God calls upon Abraham to sacrifice Isaac. Showing forth the same view as that expressed by the fathers of the Second Vatican Council in the Dogmatic Constitution on Divine Revelation, Dei Verbum, when they taught, "God, the inspirer and author of both Testaments, wisely arranged that the New Testament be hidden in the Old and the Old be made manifest in the New" (par. 16), Tozer observed that it "is frequently true, this New Testament principle of spiritual life finds its best illustration in the Old Testament. In the story of Abraham and Isaac we have a dramatic picture of the surrendered life as well as an excellent commentary on the first Beatitude." Since this year we will mark the 50th anniversary of the opening of the Second Vatican Council, in addition to showing certain affinities among Christians regarding Scripture and other discrete doctrines, I am including a quote from the Council's Decree on Ecumenism, Unitatis Redintegratio: "Today, in many parts of the world, under the inspiring grace of the Holy Spirit, many efforts are being made in prayer, word and action to attain that fullness of unity which Jesus Christ desires. The Sacred Council exhorts all the Catholic faithful to recognize the signs of the times and to take an active and intelligent part in the work of ecumenism" (par. 4). 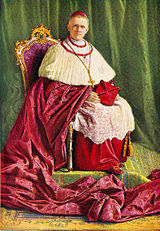 Indeed, important ecumenical strides have been made with the various Orthodox and other ancient Eastern Churches, as well as with Protestant ecclesial communions, like the Lutheran-Catholic Joint Declaration on Justification and Anglican-Roman Catholic International Commission's decree on Mary. However, in the United States and increasingly in other parts of the world, even places, like Brazil, which are traditionally Catholic, we must not neglect dialogue with Evangelical Christians, even those who are Pentecostal. After all, the tension in the Church between charisma and institution is one that needs to be held balance. As Catholics we tend towards institutionalization often at the expense of authentic charismata. I am waiting for new life to be breathed into the initiative undertaken by the late Fr. Richard John Neuhaus, which began with the declaration Catholics and Evangelicals Together. What I see lacking in many Catholic responses to the popular YouTube video, Why I Hate Religion, But Love Jesus and to the expressed faith of Tim Tebow, is that many lack either the intelligence or the prudence with which we are called upon to engage in ecumenism (some lack both), not to mention charity. 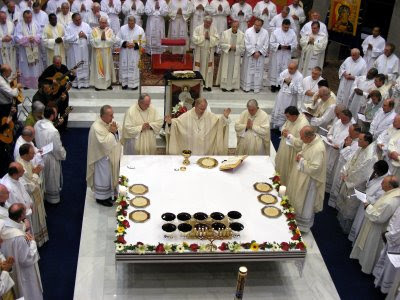 Let's not kid ourselves, the practice of our beautiful Catholic faith can and often does turn into an empty formalism/ritualism, something Vatican II, being a deliberately pastoral council, sought to remedy. One of the remedies was to engage with other Christians, those whom we now call our separated sisters and brothers, from whom we can learn and who can learn from us. There is nothing inevitable about falling into formalism and/or ritualism, but it is a tendency of which we need to be aware and to resist, even as we recognize how liturgy shapes, molds, and makes us. Part of the genius of Catholicism is our avoidance of false dilemmas, that is, seeking to embrace both/and instead of rigidly insisting either/or. For our returning Catholics group we are just beginning to read through and discuss St. Mark's Gospel. This morning as I started my way though this Gospel, I was struck in just the kind of way lectio divinia is supposed to strike me. God gives us what we need if we but ask and then attend. After all, as Msgr. Giussani taught, education in freedom implies both an education in attention and an education in awareness. 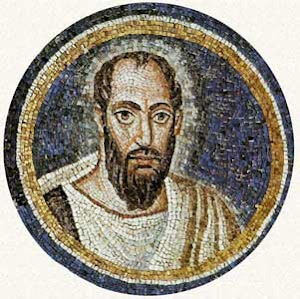 In the first chapter of Mark, after being baptized by John in the Jordan, going into the desert, calling His first disciples, teaching in the synagogue, healing a man possessed by an unclean spirit after the unclean spirit recognized Him in the synaggogue, healing Simon Peter's mother-in-law, and "many who were sick with various diseases," plus casting "many demons," and preaching throughout Galilee, the Lord encountered a leper. 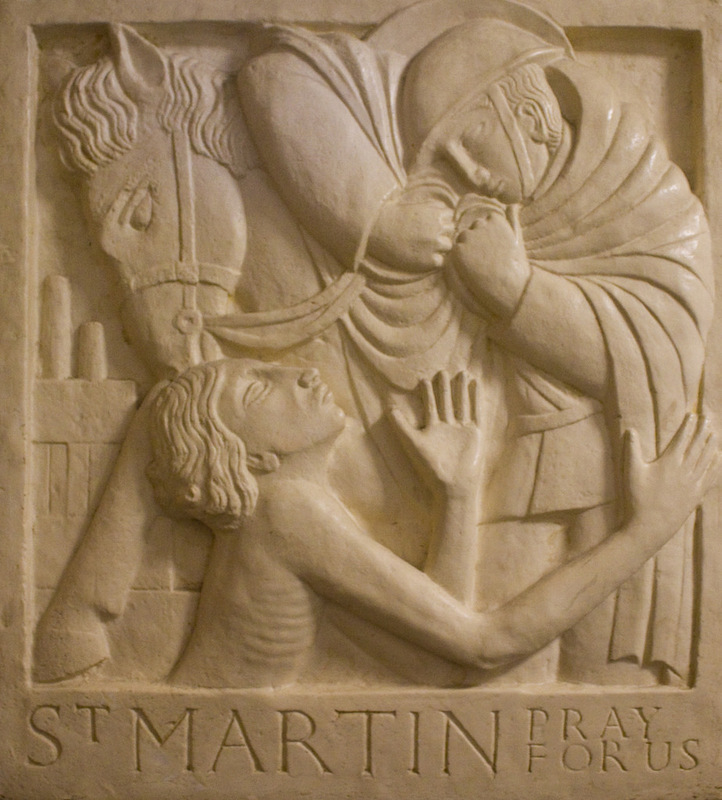 Approaching Jesus, the leper pleading with Him said, "If you will, you can make me clean." 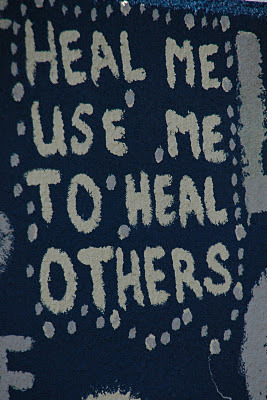 Here's what moved me: "Moved with pity," Jesus "stretched out his hand and touched him and said to him, 'I will; be clean.' And immediately the leprosy left him, and he was made clean"(Mark 1:40-42 ESV). My need is no less than that of the leper, perhaps even greater. Lord, Jesus look on me with pity today, which is a day of penance, a day I recognize all that is unclean in me, especially in my heart, stretch out your hand, touch me, and make me clean so that I may see myself as You see me and so gaze on others the way You lovingly gaze on them. "Everything we see we want to possess"
In light of my last two posts, Sting's song "Set Them Free" off his first post-Police solo album, Dream of the Blue Turtles, seemed like an obvious choice for our Friday traditio today. 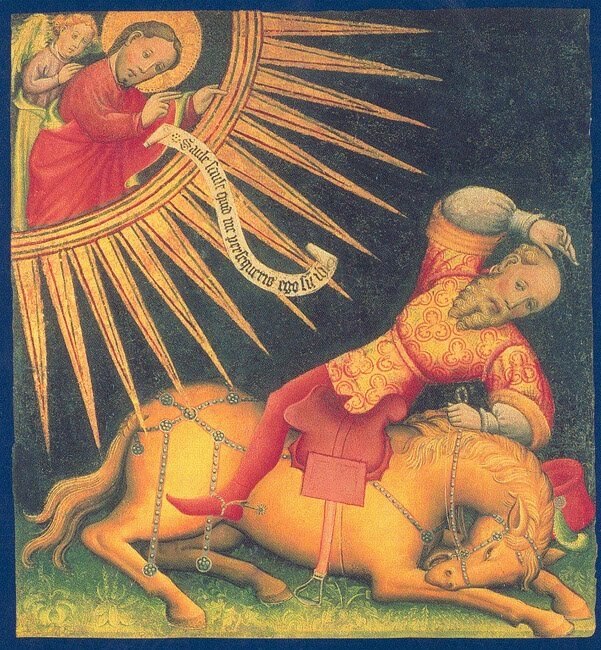 "The law of the I - law is a description of the stable dynamism with which a reality strives towards its destiny, of the stable mechanism with which something in motion strives towards its goal - the dynamism proper to the I, which is therefore directly derived from the dynamism of God [Father, Son, and Holy Spirit], is loving, that is, giving oneself to the other, being moved. There is no dynamism of the I without this" (Is It Possible, Vol. 3, pg. 27). To love another entails risk and truly loving someone means giving myself to them without calculation, without worrying about how I will be rewarded or what they will do for me in return. It also means loving her/his destiny. Hence, loving probably entails some suffering. After all, the result of living the Golden Rule is quite obviously not that it will always be reciprocated. Giussani's method is the method of the Gospel, not of The Secret. Instead of the law of attraction, the Gospel calls us to poverty, what Giussani terms "the law of detachment." In his lovely book, The Pursuit of God, A.W. Tozer wrote, "There is within the human heart a tough fibrous root of fallen life whose nature is to possess, always to possess. It covets 'things' with a deep and fierce passion. The pronouns 'my' and 'mine' look innocent enough in print, but their constant and universal use is significant. They express the real nature of the old Adamic man better than a thousand volumes of theology could do. They are verbal symptoms of our deep disease. The roots of our hearts have grown down into things, and we dare not pull up one rootlet lest we die." Indeed, poverty extends to relationships and this is a very difficult dimension of reality even deal with let alone accept in order to live. Tozer went on to state the paradox: "The way to deeper knowledge of God is through the lonely valleys of soul poverty and abnegation of all things. The blessed ones who possess the Kingdom are they who have repudiated every external thing and have rooted from their hearts all sense of possessing. They are 'poor in spirit.' They have reached an inward state paralleling the outward circumstances of the common beggar in the streets of Jerusalem; that is what the word `poor' as Christ used it actually means. These blessed poor are no longer slaves to the tyranny of things. They have broken the yoke of the oppressor; and this they have done not by fighting but by surrendering. Though free from all sense of possessing, they yet possess all things. 'Theirs is the kingdom of heaven.'" Building on my last post about hope, Giussani in the second volume of Is It Possible to Live This Way, which is on hope, said, "hope above all gives birth to poverty" (pg. 87). If our hope doesn't depend on Christ, Don Gius continued, but we place it on other people or things, then we will be disappointed to the point of despair if not sooner then later "because whatever you possess is taken away... tomorrow, by time or by a bicycle: the bicycle that violently hits the individual; he falls and, falling, knocks his head on the sidewalk and dies. The next day, instead of celebrating his wedding, you go to his funeral" (pg. 89). "Poverty is not automatic." Giussani taught. He said that poverty "is not like one in the gutter who’s got lice and a few measly rags hanging from him." Rather, "Poverty is the use of reality according to the destiny that, with certainty, is proposed to us and awaits us." The greatest trial of life is death, the fact that we will die. A year ago yesterday my Dad went to the hospital. 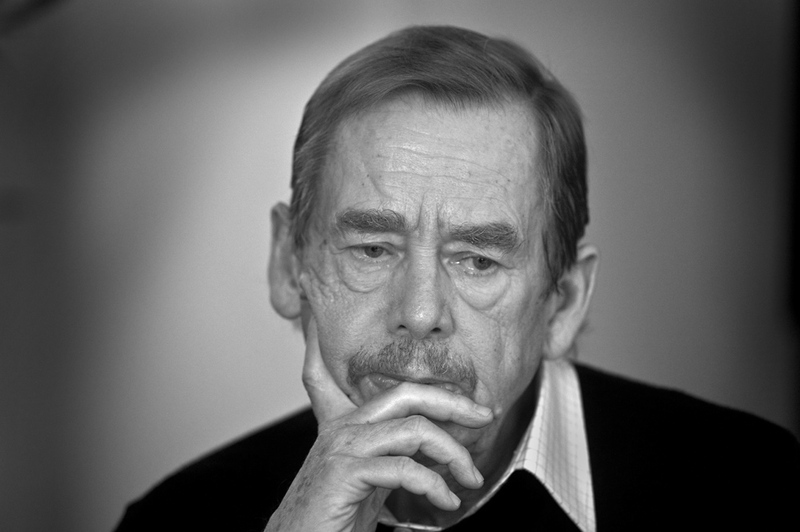 Next Tuesday is the first anniversary of his death. Indeed, death is the biggest obstacle to hope, which is certainty about our future. Death is a horizon we cannot see beyond with our own eyes. So, we must believe in a promise. The question becomes, therefore, is the One who makes the promise reliable? We can give all kinds of eloquent answers about God's trustworthiness, but in order to really believe the promise we have to experience the reliability of One who makes it. This experience has to happen in the here-and-now. 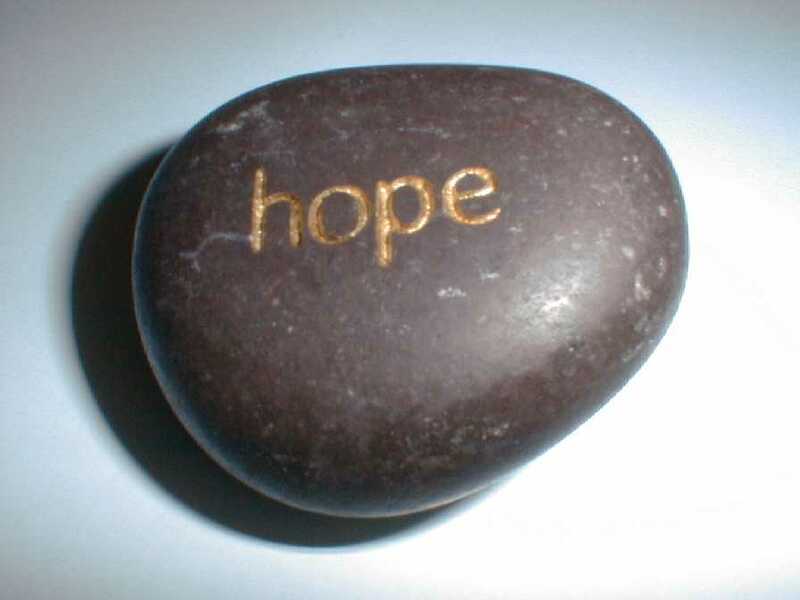 Only in this way is faith, from which hope is borne, reasonable. What is this certainty about our future beyond death, where we fully realize our destiny? For the Christian, for the one who has faith in Jesus Christ, it is a certainty verified through experience. Christ's resurrection overcomes what would otherwise be the biggest obstacle to hope. 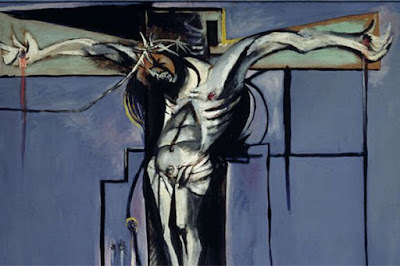 Giussani emphatically states that "from the moment Christ rose from the dead" we have "nothing more to fear from death". Certainty about the future, about the realization of our destiny, is demonstrated by Christian martyrs. In other words, this "intensity of hope" is so "far reaching" that some "desire to die for Christ". Let us live for Christ in the same hope come what may, even unto death. "On coming up out of the water he saw the heavens being torn open and the Spirit, like a dove, descending upon him. And a voice came from the heavens, 'You are my beloved Son; with you I am well pleased'" (Mark 1:10-11). by the voice that spoke over the waters of the Jordan. Editorial comments on the liturgical year aside, I have to admit that over the past several years I have come to appreciate Christmas coming to a quiet end. It gives us a chance after all of the busy-ness and at the beginning of new year to reflect on the great and glorious mystery of the Incarnation, which is nothing other than the great and glorious mystery of our salvation. And, in light of this mystery we are called live, how we are going to live out our baptismal call to selfless service of others, that is, diakonia. In the United States today, that is, the second Sunday after Christmas, we liturgically observe Epiphany. 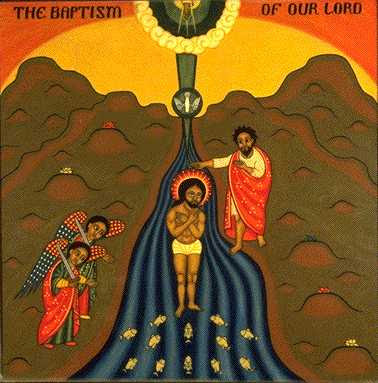 Tomorrow, the Feast of the Baptism of the Lord, brings the liturgical season of Christmas to an end. While it is all a bit confusing, it is even more important to enjoy and celebrate these days at Church and in our homes, allowing ourselves once again to be struck by the Incarnation of the Father's Only Begotten Son, who for us and our salvation was conceived by the Holy Spirit and incarnate of the Blessed Virgin. The three kings who come to adore and worship the new born babe in the manger were Gentiles. Hence, they are indicative of Jesus' universal lordship and sign the in Him God fulfilled the promise He made to Abraham that through Abraham's descendants all the nations and peoples of the earth of would be blessed. It is in and through Christ, then, that God's covenant is extended to all. For this we are grateful, like the magi. Traditionally, the gifts of the magi have been taken as having spiritual and symbolic meaning- gold as a symbol of kingship, frankincense (used as incense) a symbol of deity, and myrrh (an embalming oil) as a symbol of death. So, today let's bring Christ our very best gift, which a humble and contrite, but joyful, heart. The first Saturday of 2012. I am happy to report that we had a nice snow storm overnight, which was a relief because for the past week or so it has been sunny and in the 50s. To have a warm spell in winter here in Utah is not all that unusual, as people who have lived for awhile know. Once in awhile we have entire winters that bring very little snow and that remain quite mild temperature-wise. 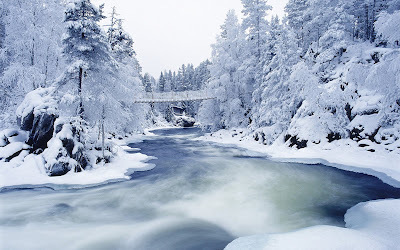 The previous three winters have been, well, very wintry, that is, cold with generous portions of snow. So, our very dry December was disappointing to a lot of people. Looking out my window this morning is a thing of beauty, a landscape transformed! Transformation, conversion, change. These things are on almost everyone's minds at the beginning of a new year. However, as we come to the end of the first week, my bet is that all of these renewed commitments are already beginning to wane for many people. We are changed through experience and no other way. Otherwise, what would it mean and why would it matter? In Chapter 13 of The Religious Sense, Msgr. 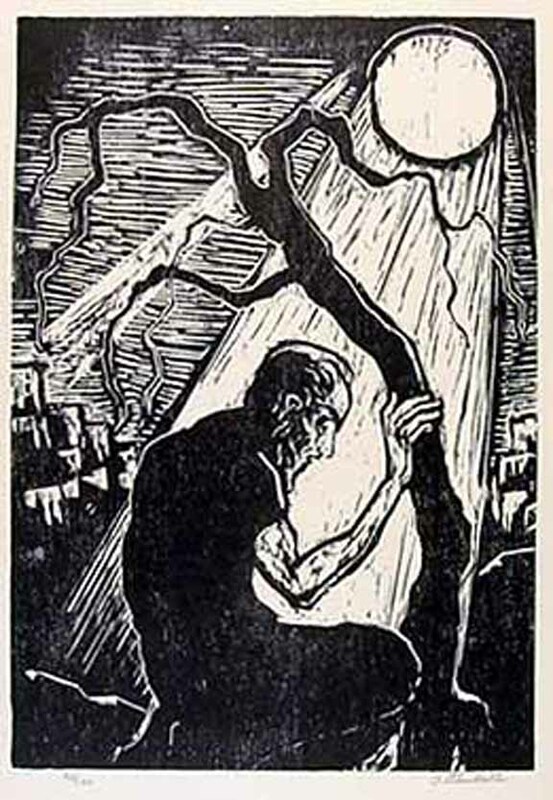 Giussani, after seeing in Ulysses as portrayed by Dante, especially his "daring to go beyond the Pillars of Hercules," which Giussani interprets as the "extreme limit erected by false wisdom" that seeks to provide us a false and so "oppressive security," points to an "even greater" text: Genesis 32:23-33. This is the story of Jacob's return from exile and his wrestling all night with the angel before crossing the river. 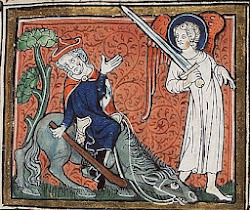 At the end of the wrestling match, the angel says to Jacob, "Your name shall no longer be called Jacob, but Israel, for you have striven with God and with men, and have prevailed" (verse 28). Referring to Jacob's all-night wrestling match, Don Gius wrote, "This is is the stature of the human being in Judeo-Christian revelation. Life, the human being is a struggle, that is to say a tension, a relation 'in darkness' with the beyond; a struggle without seeing the face of the other." In my experience, Giussani's insistence that the person "who realizes this about himself goes among others as lame, singled out" is correct. Our encounter leaves us "marked." Because I know the resolution of many in this new year is to pray more, as you endeavor to keep this resolution, it is helpful to know that prayer is often, perhaps usually, a struggle. Pope Benedict XVI made a much-anticipated announcement today. 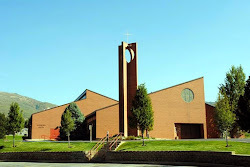 He announced that a Consistory will be held in Rome on 18 February 2012. During that gathering of Cardinals of the Holy Roman Church he will create 22 new Cardinals. Eighteen of whom are men under the age of 80, who will, upon becoming members of the Sacred College, join the ranks of Cardinal-electors and be eligible to participate in the Conclave to select the next pope. Among those named are two U.S. prelates: Edwin O’Brien, Grand Master of the Order of the Holy Sepulchre (Cardinal-elect O'Brien previously served as Archbishop of the U.S. Military Archdiocese and as Archbishop of Baltimore before being named as Grand Master of the Equestrian Order of the Holy Sepulchre) and Archbishop Timothy Dolan of New York. 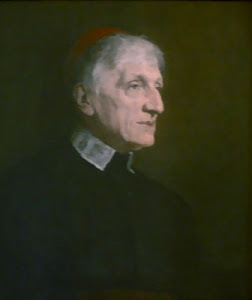 It is customary not to elevate the current bishop of a cardinalatial see to the Sacred College until after his successor, assuming he is a cardinal, becomes superannuated, that is, reaches the age of 80, at which time he is no longer a Cardinal-elector. Cardinal-elect Dolan's predecessor in New York, Cardinal Egan turns 80 this year, a few months after the Consistory. This rule is also why Archbishop Gomez of Los Angeles was not selected this time around. 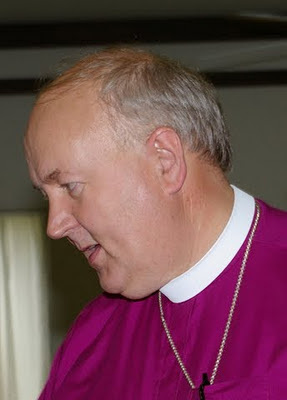 Additionally, Archbishop Thomas Collins of Toronto was also chosen. The Holy Father will also give the red hat to four honorary members of the Sacred College for their devoted and notable service to the Church. All of these Cardinals-elect are over 80. While I was very gratified to see the Major Archbishop of the Syro-Malabar Church named as a Cardinal, I was surprised not to see Patriarch Mar Bechara Boutros al-Rahi of the Maronites on the list. 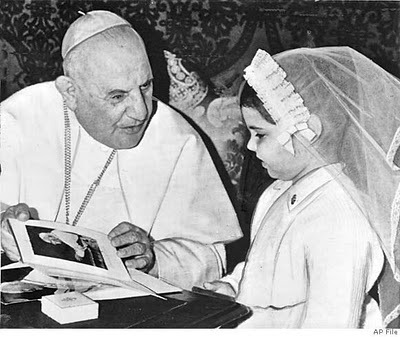 While it is a bit ecclesially odd and awkward to name Patriarchs as Cardinals it is presently the only way for them to participate in the governance of the Church Universal. I hope that some day soon Patriarchs in communion with the Bishop of Rome will have their patriarchal dignity fully recognized, which would permit them, among other things, to participate in Conclaves without first having to be created Cardinals of the Holy Roman Church. For the complete list, see John Allen's blog post, Pope names 22 new cardinals, including Dolan and O'Brien. Epiphany means something like a striking appearance. Of course, nothing in human history was more striking in appearance that God becoming man borne of woman. 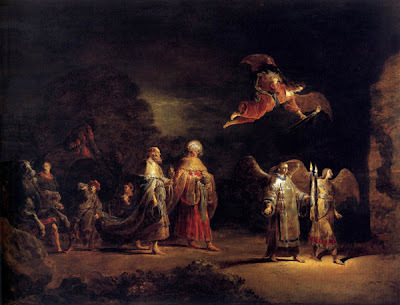 So, today, which is Epiphany (except where it isn't for reasons I don't understand), our traditio is one of my favorite Christmas carols, We Three Kings of Orient Are sung in Cambridge. The Anglican tradition has such an amazingly lovely tradition of sacred choral music. I can't help but share how exciting it was today to read something inspiring for the very first time. What I read today for the first time, as I gear up for the 50th Anniversary of the Second Vatican Council, is Bl. Pope John XXIII's Humanae salutis. Humanae salutis is the name of the Apostolic Consitiution promulgated on Christmas Day 1961 formally announcing that he was convening the twenty-first (at least by Catholic reckoning) Ecumenical Council. His first public announcement that he was convoking an Ecumenical Council was in 1959 on the Feast of the Conversion of St. Paul. He made this first pronouncement in the Basilica of St. Paul Outside-the-Walls, in the presence of seventeen curial cardinals. The reaction, according to those who were present was, understandably, silence. My source for reading this document in English is the website Conciliaria, which my brother, Deacon Eric Stoltz, recently launched, albeit softly. Humanae salutis is not available in English on the Holy See's official website. It is available, however, in Latin, Italian, Spanish, and Portugese. The English translation was done by the Rev. Joseph Komonchak, a great theologian and someone who has been very kind to me personally. It is not too much to say that during his many years at the Catholic University of America he has been a teacher and mentor to very many current Church leaders and scholars. While distrustful souls see nothing but darkness falling upon the face of the earth, we prefer to restate our confidence in our Savior, who has not left the world he redeemed. may spread the Kingdom of the divine Savior, a Kingdom of truth, of justice, of love, and of peace. Amen." A new year has begun with new challenges and new opportunities. I was reminded earlier this week of something that is easy to forget, namely the positive nature of reality. Since I am writing about reality, I don't mind mentioning that at least for now I am not going to pressure myself to write, primarily because I'm not that good at it, meaning the product of my effort is often not worth my effort. This is okay. I do not write nor do I ever intend to write for a living, or even for money. We'll see what that means both here and elsewhere. My genre remains uncreative non-fiction. I read a short story today in the current issue of Commentary by Joseph Epstein, "Remittance Man." The story is about a not overly ambitious writer, but one whose talent is nonetheless not up to his ambition. In the story, while at his father's funeral the writer, Lenny, comes "to understand that he is one of life’s spectators, with a seat on the sidelines watching other people do their dance. He lives, as he has always lived, in his mind, in his imagination." This brings me back to the positivity of reality, which can only be understood through experience. In The Religious Sense, Msgr. Giussani wrote about the necessity of being involved with life in order to understand life, to grasp reality. Involvement with life inevitably brings about problems, difficulties, issues, situations, etc. "But," Giussani insisted, "a problem is nothing other than the dynamic expression of a reaction in the face of these encounters." This is not to say about life what someone once said about history, that it is "one damn thing after another." Rather, all of our experience is an opportunity to experience the positivity, the purposeful nature, of reality, especially as it pertains to me, in a specific and highly personal way. sounds of music, and movements of the dance." In other words, I think the positivity of reality arises, at least partly, from the mystery it often veils. Once in awhile there is an unveiling (an epiphany, or apocalypse). In my experience, such moments pass quickly before slipping away again. Lest I slip from engagement back into merely watching, plus never being able to resist alluding, even if obliquely, to Von Balthasar, I will appeal to the theo-drama of reality via Shakespeare's As You Like It (Act II Scene 7), or, more honestly, via Rush's song "Limelight": "All the world's indeed a stage..."
Even though we observed his glorious feast a week ago, on Monday, 26 December, I did not see this amazing depiction my lifelong patron, who is also the patron of Καθολικός διάκονος, St. Stephen, until today, when I saw it as the Facebook photo of my brother deacon Michele Onesti, who is a permanent deacon of the Diocese of Verona, Italy. Michele was ordained a permanent deacon in 2003. He was in his late twenties when he was ordained, which is permitted as long as the ordinand is not married and is at least twenty-five. An unmarried man who is ordained a permanent deacon is required to take a public vow of celibacy. Michele and I have a connection because he spends a lot of time with the LDS missionaries who proselytize in the part of Italy in which he lives and serves. 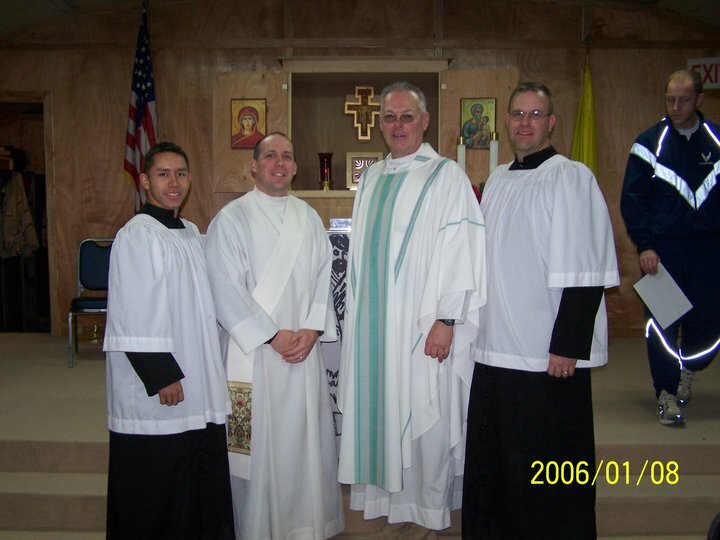 He told me, "My vocation's story is a bit original: I began my theological studies to became priest then I decided to stop my presbyteral ordination to better live my diaconate and finally I decided that permanent diaconate was my life!" Having spent the past two years researching the role and necessity of married permanent deacons, one thing became clear, that when the diaconate was updated and restored, in addition to married deacons, Pope Paul VI envisioned more deacons like Michele. This painting of St. Stephen is by the contemporary Italian master Ulisse Sartini and was commissioned by an anonymous benefactor. 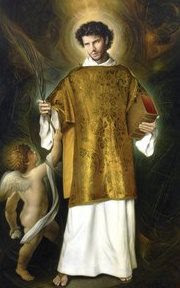 Sartini depicts St. Stephen dressed in a golden dalmatic with the palm of martyrdom in his right hand and the Book of the Gospels held between his left arm and his body. 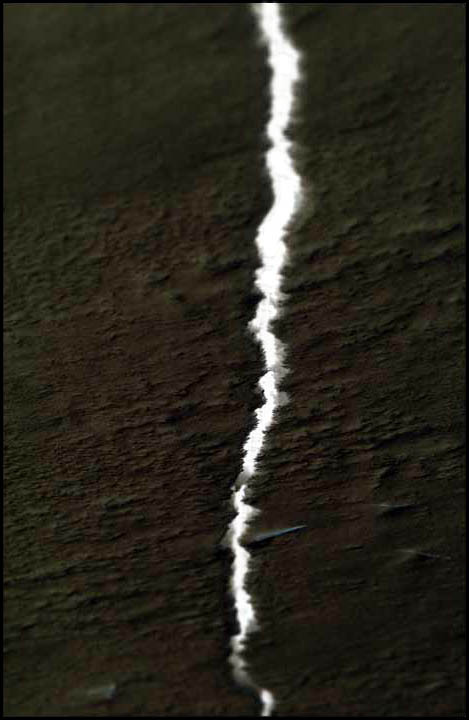 At the top of the picture the Cross is barley detectable. The original is in the Church of St. Stephen, Martyr in the city of Rivergaro, Italy. It was presented by the artist to His Excellency, Gianni Ambrosio, bishop of the Diocese of Piacenza-Bobbio, the diocese to which Rivergaro belongs, on 14 June 2009. Sartini is perhaps best known outside of Italy for his portraits of both Bl. John Paul and Pope Benedict XVI. St. Stephen, pray for all deacons, that, like you, we may witnesses, that is, martyrs, of Jesus Christ. Anglican Ordinariate for the U.S. The Holy See announced today that the Anglican Ordinariate of the United States has been established. Lest there be any doubt about the Ordinate's affiliation, it bears the name The Chair of St. Peter (the one in England was dubbed Our Lady of Walsingham). The Personal Ordinariate of The Chair of St. Peter is basically a nationwide diocese composed of Anglican-use Catholic parishes. Hence, they are not Roman Catholics, but genuine Anglo-Catholics in full communion with the Bishop of Rome. - a former Anglican bishop called upon to assist in the administration of the ordinariate serves in a role analogous to that of an auxiliary bishop within a diocese or as the "delegate" in charge of a "deanery"
Bl. John Henry Newman, pray for us. Having just finished re-reading his Apologia, I can't help but think what relief such an option would have brought the future-Cardinal Newman in his day. What a wonderful gift for the new year! May this be but one step towards healing the divisions among all who bear the name Christian. 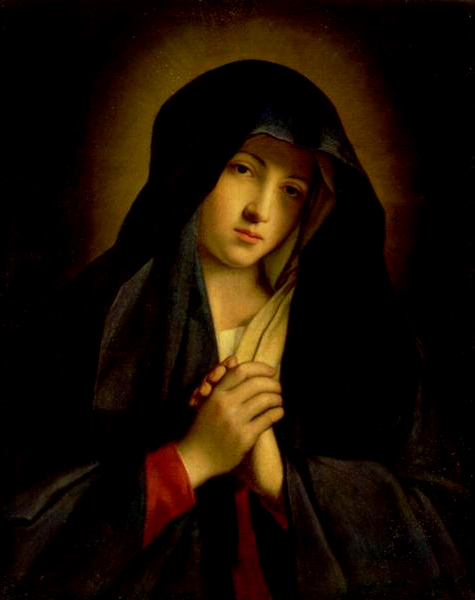 Since it was established today, the Solemnity of Mary, the Mother God, it will have a special affiliation with her, too. I am very interested to follow the developments of the Personal Ordinariate, The Chair of St. Peter. 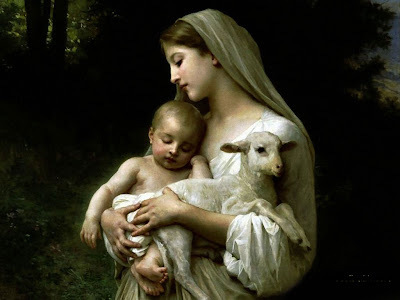 Writing about the events surrounding the Incarnation of our Lord, the author of Luke's Gospel, in the passage we read at Mass today, tells us, "And Mary kept all these things, reflecting on them in her heart" (Luke 2:19). So, the new year begins as the last year ended, reflecting on the mystery of the Incarnation of the Son of God. However, today we are reminded that Jesus is Mary's son, too. Especially since New Year's Day falls on a Sunday this year, let us, like Mary, the Mother of God, who is also our mother, spend some time reflecting on these things in our hearts. In this light, we can begin to discern how to live as children of God in this new year, giving birth to Christ ourselves, making Him present in and for the world together. Peace and joy to one and all on the first day of 2012!